MOBILedit Forensic Express is a phone and cloud extractor, data analyzer and report generator all in one solution. A powerful 64-bit application using both the physical and logical data acquisition methods, MOBILedit is excellent for its advanced application analyzer, deleted data recovery, live updates, wide range of supported phones including most feature phones, fine-tuned reports, concurrent phone processing, and easy-to-use user interface. With the password and PIN breaker you can gain access to locked ADB or iTunes backups with GPU acceleration and multi-threaded operations for maximum speed. 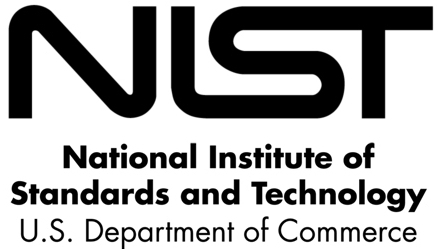 MOBILedit performed very well in comprehensive tests by NIST - the U.S. Government organization. With MOBILedit Forensic Express, you can extract all the data from a phone with only a few clicks. This includes deleted data, call history, contacts, text messages, multimedia messages, photos, videos, recordings, calendar items, reminders, notes, data files, passwords, and data from apps such as Skype, Dropbox, Evernote, Facebook, WhatsApp, Viber, Signal, WeChat and many others. MOBILedit Forensic Express automatically uses multiple communication protocols and advanced techniques to get maximum data from each phone and operating system. Then it combines all data found, removes any duplicates and presents it all in a complete, easily readable report. Forensic Express has a built-in phone unlocking feature for many phone models, allowing you to acquire a physical image even when the phone is protected by a password or gesture. It can bypass the lock-screen on a wide range of Android phones. It is ready to utilize the full potential of modified recovery images in order to perform physical acquisition with just a few clicks. Lock-screen patterns, gestures, PINs and passwords are no longer an obstacle in your way of acquiring any data from a wide variety of Android devices. The use of apps to communicate and share has grown rapidly. Many apps are released or updated everyday. It is obvious that the analysis of apps is vital to retrieving as much evidence as possible. This is the strongest point of MOBILedit Forensic Express, we dedicate a large part of our team specifically for application analysis. We employ adaptive and in-depth methods to ensure you retrieve the most data available for each app- especially recovering deleted data. Data is analyzed for its meaning so you see it on a timeline as a note, a photo, a video or a flow of messages no matter what app was used to send them. Check our database of supported apps. The use of apps to communicate and share has grown rapidly. Many apps are released or updated everyday. It is obvious that the analysis of apps is vital to retrieving as much evidence as possible. This is the strongest point of MOBILedit Forensic Express, you get updates of application analysis live and as often as needed. Data is analyzed for its meaning so you see it on a timeline as a note, a photo, a video or a flow of messages no matter what app was used to send them. Reports are available in PDF, XLS, or HTML formats, and you can generate data exports compatible with the other data analysis tools you use in your lab, such as UFED. Now you can analyze backups of iOS devices stored in iCloud. Don't have the phone? Don't worry, you don't need it. Cloud Analyzer will locate all iOS backups in the cloud and let you choose which ones you want to extract, analyze and create reports for. Find crucial hidden evidence including deleted data, applications data and more directly from the cloud. All versions of iOS are supported, including two-factor authentication. Reports are now under the user’s control. You can customize reports to your own style or translate them to your language, so you can meet the criteria defined by the law. This important feature easily finds photos of people you are looking for. Based on the newest deep learning techniques, Face Matcher rapidly analyzes even large quantities of photos that users often have in their phones. Eliminate countless hours spent manually looking through photo albums. Simply supply photos of faces you want to find, and let Face Matcher find right photos in a phone or PC. Since 1996 we have supported an extremely wide range of phones manufactured over two decades. The software supports thousands of handsets including popular operating systems such as iOS, Android , Blackberry, Windows Phone, Windows Mobile, Bada, Symbian, Meego, Mediatek, Chinese phones, and CDMA phones. The software can handle many feature phones without an OS. This includes older models from as far back as 1996, when development began and was the first of its kind in the world. We all know that it is a good practice to use multiple tools in a lab. We've designed our software with the ability to integrate with other forensic tools. Import and analyze data files exported from Cellebrite UFED and Oxygen reports to get even more data. Export all data to UFED, so you can use the UFED Viewer or Analytics for further processing to move your investigation forward. This feature removes the requirement of a PIN for the original SIM card of the phone being investigated. It also removes the need for obsolete and unreliable Faraday bags. Now you can clone SIM cards, create new SIM cards with any ICCID, or just format your SIM card to renew for next use. Get more info about this tool here. Compelson was the first to pioneer the creation of mobile forensics tools in 1996. Our original product, MOBILedit Forensic has been highly rated by the National Institute of Standards and Technology and is currently being utilized by the FBI, CIA, IRS and law enforcement in over 75 countries to extract all content from phones and generate forensic reports for presentation in the courtroom. What differs us from other companies is the number of licenses among users- we have millions. The reason is that we also develop corporate and end-user solutions, where MOBILedit is a legend. This provides us an unparalleled experience with software development and as a result our products have the best possible user experience. We are headquartered in the heart of Europe in Prague, Czech Republic, a member of NATO and the European Union. Our capability to physically analyze and support European phones and customers sets us apart. This knowledge base makes MOBILedit Forensic Express an essential addition for investigators looking to have a comprehensive forensic tool box. Buy online and get it now.